CBA has been presented with a unique opportunity to support our new Governor-elect Brian Kemp. CBA has met with the Governor-elect’s transition team to discuss how the Governor-elect’s goals/missions align with those of CBA in many ways. Brian Kemp was an organizer in a community bank and remains a shareholder of a community bank, so he certainly understands what issues our bankers face and how important community banking is to the overall economy in Georgia. The Governor-elect’s team has asked CBA to be a part of the Georgians First Committee. CBA is asking for your support! With 33 new House of Representative members (and 3 open seats) and 5 new Senate members along with a new Governor and Lt. Governor, collectively we CAN make a difference. Now is the time to let our elected officials know that we support them. Please fill out the sponsorship form that can be completed for your donation. (Click here for the committee W-9.) We ask that all checks be mailed to CBA of GA ATTN: Lori Godfrey by no later than December 31, 2018 so that we can collectively deliver our support to Kemp’s transition team personally. (Please note “CBA of GA” in the memo line of the check.) If you choose to make a donation online by credit card, please note “CBA of GA” in the Organization name, then forward a copy of your receipt to lori@cbaofga.com so that we may include it with our donations. All supporters of Georgians First Committee will receive four (4) tickets to the Swearing-In Ceremony as well as four (4) tickets to the Inaugural Gala on Monday, January 14, 2019. CBA will be active participants in the inauguration of Governor Kemp and we are proud to carry this banner. Before the 31st Biennial Institute for Georgia Legislators at the University of Georgia, Brian Kemp promised to work for small businesses and to lift the economy of the rural areas of the state. "As a small business guy, I know the impact that taxes, regulation and government red tape can have on investment, expansion and hiring,” he said. “That's why on Day One, I will create the Georgians First committee, led by business leaders, not bureaucrats, to identify things that frustrate our small business owners." Kemp says he aims to bring prosperity beyond bigger cities in Georgia and into rural areas. Read more. The nation's biggest banks are struggling to win over policymakers even in the business-friendly Trump era. One clear symptom: the landmark, bipartisan bank deregulation legislation that became law in May contained relatively few victories for the global banks, with lawmakers repeatedly emphasizing instead the benefits for small “community banks” linked to Main Street. Most lawmakers from either party didn’t want to be seen as helping the likes of Wells Fargo, which has been racked by a string of scandals involving consumer abuses. Read the full article. Most Georgia lawmakers on Capitol Hill endorsed a sprawling farm policy bill last Wednesday that dodged a fierce debate over food stamps that had previously divided the state’s delegation, agriculture officials and anti-hunger players. Local farm and commodity groups, as well as the head of the Atlanta Community Food Bank, cheered the passage of the $867 billion farm bill, which would set federal nutrition, rural development and agriculture policy guidelines for the next five years. The bill’s price tag angered conservative and fiscal responsibility groups that said lawmakers passed up a prime opportunity to overhaul the government’s pricey crop subsidy and anti-poverty programs. Three Georgia Republicans ultimately voted against the legislation. The legislation now heads to the White House. President Donald Trump has signaled he’ll sign the measure after senior members of his administration, most prominently Agriculture chief and former Georgia Gov. Sonny Perdue, pushed for its adoption.​ Read more. Be sure to mark your calendars for CBA's 2019 Grass Roots Day at the Dome, Wednesday, February 13, 2019. We'll be "on the ropes" at the Capitol in the morning and enjoying lunch with the legislators at noon. ​The FDIC board on Tuesday approved nearly a dozen policy changes, proposals and requests for industry comment. Among the 11 different items was an advance notice of proposed rulemaking asking for input on possible changes to the FDIC's brokered deposits rules. 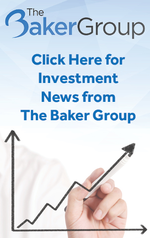 The agency also finalized a rule implementing new accounting standards for projecting future losses, issued a proposal to exempt small banks from the Volcker Rule as mandated by Congress, provided an update on the Deposit Insurance Fund and approved its 2019 budget. Read more. Under the new rule, which takes effect for public firms on January 1st and for private firms a year later, the Financial Accounting Standards Board (FASB) will require companies to record operating leases as both liabilities and assets on their balance sheets. As it stands, these costs are kept off the balance sheet, leaving investors with an incomplete picture of a company’s financial obligations, according to FASB. Read more in American Banker. The Community Bankers Association of Georgia (CBA) announced its endorsement of Holtmeyer & Monson for SBA Lending services. The endorsement comes after a review of Holtmeyer & Monson by both CBA’s Member Services Committee and the CBA Board of Directors. 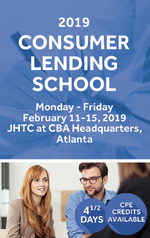 Holtmeyer & Monson, which is also a Preferred Service Provider of the Independent Community Bankers Association of America (ICBA), helps banks expertly navigate SBA and USDA lending requirements to capture new revenue opportunities and cultivate stronger community relationships. There’s never been a better time for community banks to offer government-guaranteed loans as part of their portfolios. Last year, $6 billion in small business loans were made by online lenders, including non-bank entities. By participating in SBA and USDA lending, banks can provide small businesses with much-needed capital that benefits their communities, while also deepening their roots on Main Street. 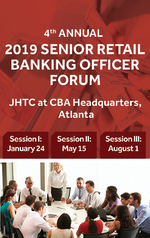 “As the only Georgia trade association that exclusively represents community banks, we take pride in finding vendor products and services that offer significant value to our members,” stated John McNair, President and CEO of Community Bankers Association of Georgia. “Holtmeyer & Monson has a proven track record of helping hundreds of banks extend capital to under-served borrowers in their markets and garner new sources of non-fee income. 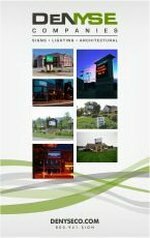 Equally important, Holtmeyer & Monson has a stellar reputation for adhering to strict business ethics.” Read the press release. A controversial accounting standard is facing strong resistance in the House Financial Services Committee that will likely intensify when Democrats gain control of the panel. At a hearing of the committee’s Financial Institutions and Consumer Credit Subcommittee, the Current Expected Credit Losses standard, or CECL, was the target of sharp criticism by lawmakers from both parties, including prominent Democrats Brad Sherman and Gregory Meeks. The Financial Accounting Standards Board finalized CECL, which would require financial institutions to record a loan's projected lifetime credit loss on the day it is originated, in June 2016. The standard has faced a steady drumbeat of criticism ever since. Sherman, who has represented a district in Los Angeles County since 1997, claimed CECL would handicap small businesses seeking credit. Read more in American Banker. As you know, one of CBA’s Leadership Division’s annual initiatives is growing the Julian & Jan Hester Memorial Scholarship Program. In an effort to spread the word and share this opportunity with the entire state, we invite you to participate in this FREE webinar that will explain everything you need to know about the Scholarship and how you can offer this program within your communities. The webinar is scheduled for Thursday, January 17, at 10:00 am, Eastern. The webinar details will be emailed to all registrants prior to the event date. If someone other than you would be interested in overseeing this program at your bank, please share this information with them. Email Peake Wilson to register. Scholarship FAQs are now included on our website. Please click here to learn more and to download the application. The latest issue of FDIC Quarterly details community bank deposit growth and offers context on the decline in the number of bank offices. According to the agency, currently operating community banks have added offices through acquisitions and opened still more offices, on net, during the year that ended in June. By comparison, non-community banks closed far more offices than they opened. Read the full issue. Advertising Made Easy: Explore CBA's 2019 Media Kit! 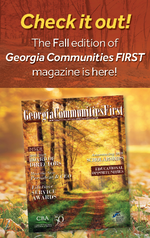 The 2019 CBA of Georgia Media Kit includes numerous ways for associate members to reach Georgia’s community bankers. The kit contains all ad specs, deadlines, subscriber information and contact information to help you with your advertising plans for the coming year. The weekly e-newsletter is delivered to over 5,000 email addresses so a one-month ad in the e-newsletter will reach 20,000 email addresses for only $400! Click here to view or download the media kit. Contact Lindsay Greene or call 770-541-0376 for a customized package. 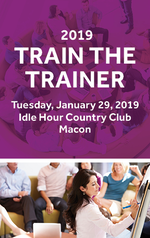 We invite you to visit our Education program flyer for information regarding the upcoming Advertising Compliance Boot Camp, held Thursday, February 28, 2019 in Macon. Learn more and register. A Few Money Moves Before Year's End? This time of year, we have numerous requests for invoicing so expenses will come out of this year’s budget. CBA is happy to provide electronic invoicing for membership dues, PAC contributions, sponsorships, advertising, registrations, dues for the 2019 Compliance Program and Children’s Healthcare donations. 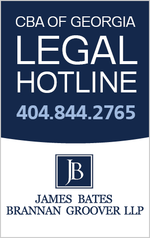 Please call us at 770-541-4490 or email Peake Wilson and we’ll be happy to assist. ICBA senior executives were named to The Hill’s 2018 list of the nation’s top influencers. ICBA President and CEO Rebeca Romero Rainey and ICBA Group Executive Vice President of Congressional Relations and Strategy Paul Merski were both featured on the annual listing for advocating on behalf of community banks. ICBA Assistant Vice President of Advocacy Joshua Habursky was recognized for his leadership of the Grassroots Professional Network, which he founded and chairs. Read the press release. Read The Hill’s List. The CBA of Georgia extends its sincere condolences to the family, friends and colleagues of Mr. W. Colon Sammons, former Georgia community bank President and CEO, who recently passed away. Mr. Sammons’ service was held in Mount Vernon last Friday. 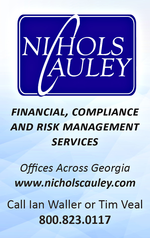 Mr. Sammons is survived by his sons Brent Sammons, President/CEO of Altamaha Bank & Trust, Vidalia, and William Sammons, Partner of Nichols, Cauley & Associates, Atlanta. Read more. In addition, CBA extends our sympathies to the family, friends and colleagues of Mr. Charles E. Lee, bank director of Citizens Bank of the South, Sandersville, who recently passed away. Mr. Lee was formerly the Executive Director of Economic Development for Washington County, and has been active in many roles in the community. Read more. Planters First Bank, Cordele, has raised $25,000 for the American Cancer Society with the help of local residents, businesses and the Discover Community Cares initiative. Employees from Georgia Banking Company, Atlanta, recently raised $740 to donate to the Marine Toys for Tots Foundation. The funds were contributed towards the purchase of 11 bicycles, 10 bike helmets, 4 scooters, and 4 ride-on toys. The bank then delivered the bikes to the Sandy Spring Police Department toy drive for Children's Healthcare of Atlanta. Quantum National Bank, Suwanee, recently held a toy drive for Children's Healthcare of Atlanta to collected toys for kids who may end up spending the holidays in the hospital. The bank received donations from customers, friends and employees. The 2018-2019 Student Council from Citizens Bank of Laurens County, Dublin, chose to donate items to Hurricane Michael victims in South Georgia as their annual project. Kenny Rowland, Certified Georgia Baptist Disaster Relief Volunteer, received the items and will deliver them on his next trip. Legacy State Bank, Loganville, recently completed its donation campaign for Operation Toy Soldier, which provides toys to the children of active and non-active duty military members. The bank also partnered with Tim Stewart Funeral Home of Snellville as a toy drop spot. This season, Citizens Bank of the South, Sandersville, has been hard at work helping provide Christmas for 30 special kids in Washington County. ​Century Bank & Trust, Milledgeveille, held its annual Tacky Christmas Sweater Day on December 7th. A contest was held among bank employees and Walmart gift cards were awarded to those with the best sweaters. Jennifer Tarver won first place Crissy Miller won second place, and Jennifer Hammock & Amber English both won third place. Santa & Mrs. Claus visited the bank on December 8th. The children with their bright eyes and smiles listened to Christmas stories read by Mrs. Claus and sat in Santa’s lap and shared their wishes. Refreshments were served and letters were mailed to the North Pole so that Santa would not miss any of their wishes. Steve Reagin, Chief Lending Officer of Signature Bank of Georgia, Suwannee, in partnership with the Gwinnett County Chamber of Commerce, hosted an Open House and Ribbon Cutting ceremony for the new Loan Production Office located at 1186 Satellite Boulevard, Suite 100, on Wednesday, December 12th. Read more. This month, CBA Endorsed Member Company Pentegra celebrated their 75th anniversary. “I am so proud of what we have accomplished," said John Pinto, President and CEO of Pentegra. "As it was 75 years ago, our people here at Pentegra remain our greatest strength and we continue to value integrity, intelligence, focus, diligence and commitment in the pursuit of our clients’ goals." ​At their 75th anniversary celebration, Pentegra received official proclamations from New York State and the City of White Plains, NY. Read the press release. Keith Davis has joined the bank’s Sinclair office as a branch manager and loan officer.